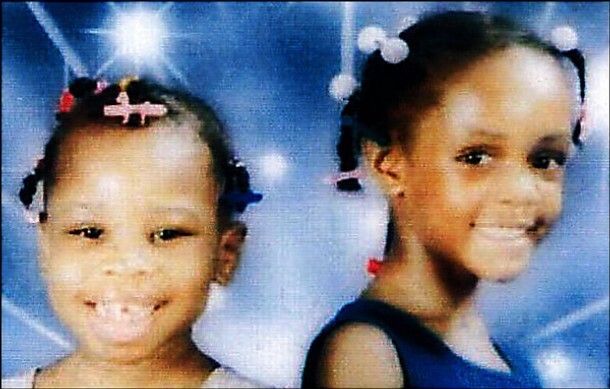 Minnet (age 9) and Jasmine (age 7) Bowman were murdered in 2006 by their adoptive mother, Renee Bowman, their bodies stored in her basement freezer. The murders were discovered two years later when their then-7-year-old sister jumped out of a second-story window to escape imprisonment in her room. She was found by authorities with open sores and lesions on her buttocks and lower thighs, marks on her neck made by a cord, rope or other item and bruises on her hands and lips. Renee Bowman had adopted Minnet in 2001 and Jasmine and the youngest girl (who were biological siblings) in 2004. She received $2,400 total per month in adoption subsidies for the girls since they were considered to be special needs children, and continued to collect subsidies after their deaths. Minnet was originally enrolled in preschool, but after an employee began to suspect neglect Bowman withdrew the girl and decided to homeschool all three of the girls. Bowman claimed that Minnet died of starvation and that Jasmine died in an argument when Bowman pushed her and her head hit the wall. However, Bowman later told a cellmate that she had smothered both of her daughters with a pillow, and autopsy results showed both girls had died of asphyxiation. Minnet died with broken bones in her arms and hand while Jasmine suffered lacerations to her scalp. While the dates of their death are unknown, Bowman’s boyfriend Joe Dickerson claimed that Minnet disappeared in May 2006 and Jasmine in June 2006. Bowman told Dickerson she had sent the girls to another state to live with a friend. With her daughters’ bodies in the freezer, Bowman moved to Charles County, where CPS investigating an anonymous tip found no evidence to substantiate abuse of the remaining daughter. Then Bowman, freezer still in tow, moved to Lusby, where neighbors were unaware that a child was living in her house. When the girl finally escaped, she was wearing only a t-shirt stained with excrement and she reported that she had been beaten with a hard-heeled shoe. She was taken to the hospital and eventually placed in foster care. Police investigating the allegations discovered the other girls’ bodies in the freezer. Renee Bowman pled guilty in September 2009 to charges of first-degree child abuse in Calvert County and was sentenced to 25 years in prison. In 2010, she was tried in Montgomery County and convicted of two counts of murder and three counts of child abuse and sentenced to life without parole.